These hardwood floors were one of the toughest projects we have ever taken on. From years of pet accidents, these beautiful hardwood floors were saturated and stained with urine. We had to take on a very time consuming and meticulous approach in order to restore the beauty back into these floors. The first step was sanding down the wood, which is shown in the before picture above. After the sanding process was complete we laid 2-3 coats of stain down before applying 2-3 coats of a premium polyurethane finish. 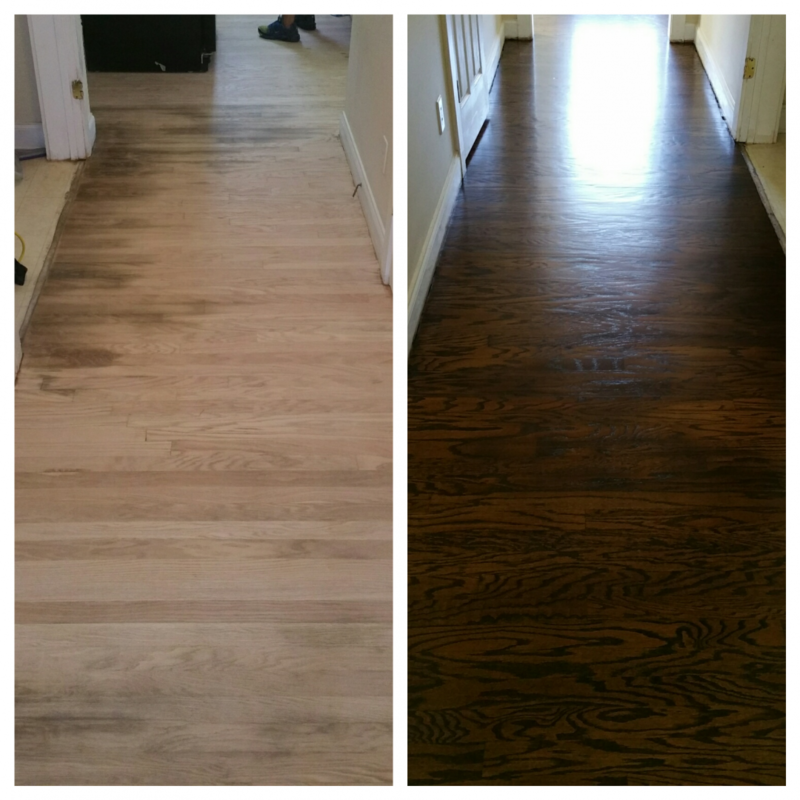 Although they are not perfect, this is very cost effective compared to replacing the hardwood floors altogether and will keep the odor away.